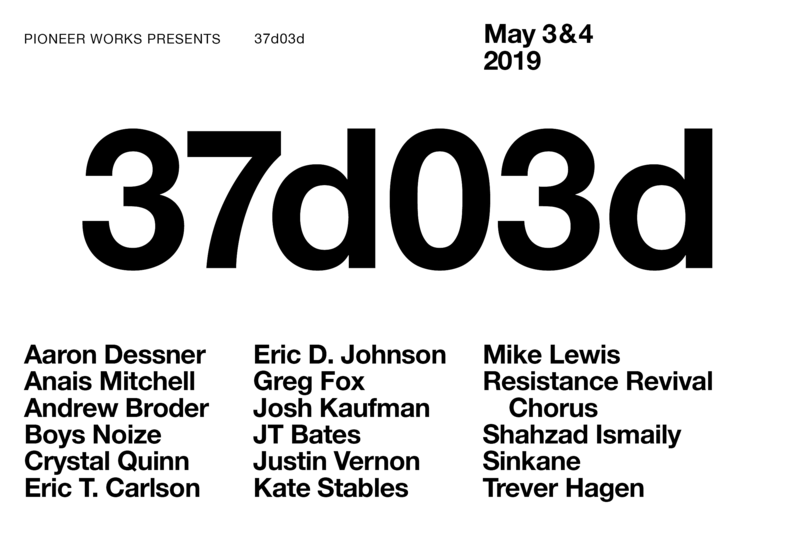 Bon Iver and Aaron Dessner are bringing their collaborative PEOPLE festival to Brooklyn, happening May 4 & 5 at Pioneer Works. The lineup includes Vernon and Dessner, as well as Anais Mitchell, Andrew Broder, Boys Noize, Crystal Quinn, Eric D. Johnson, Eric T. Carlson, Greg Fox, Josh Kaufman, JT Bates, Kate Stables, Mike Lewis, Resistance Revival Chorus, Shahzad Ismaily, Sinkane and Trever Hagen; and they’ll be presenting projects Big Red Machine, Bonny Light Horseman, This is the Kit and more. Tickets for PEOPLE go on sale Monday, March 25 at noon. Meanwhile, Dessner will be busy with The National this year, releasing a new album and touring with Courtney Barnett (including two big Prospect Park shows).